I will admit it, I take an obscene number of photographs of my child and best of all.....I like it. 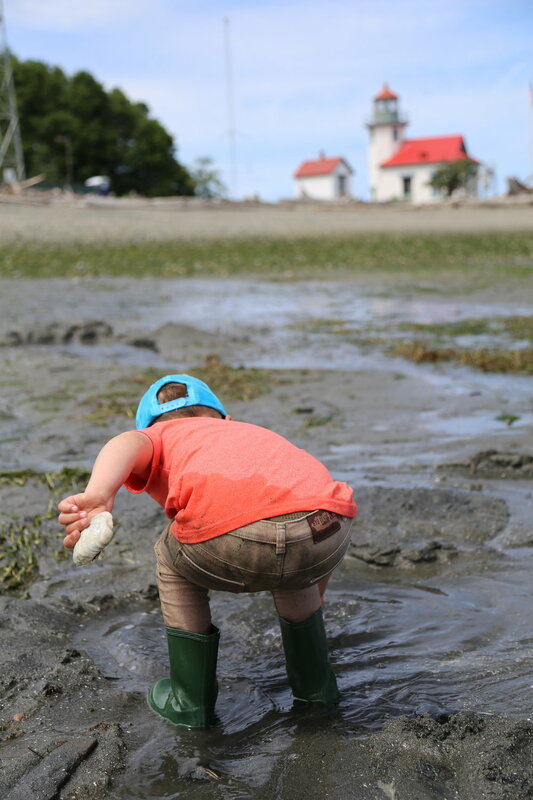 Since I never imagine looking back on Jasper's fleeting childhood and saying, "Man, I wished I would have taken fewer photos" I will continue to snap away and document everything. So bare with me while I am still in the honeymoon phase of parenting where *almost* everything my child does and says is the cutest, most clever thing on the planet. And just for the record, I am THAT parent who can endlessly talk about their child as if there is nothing else interesting in the world because for now there really isn't. 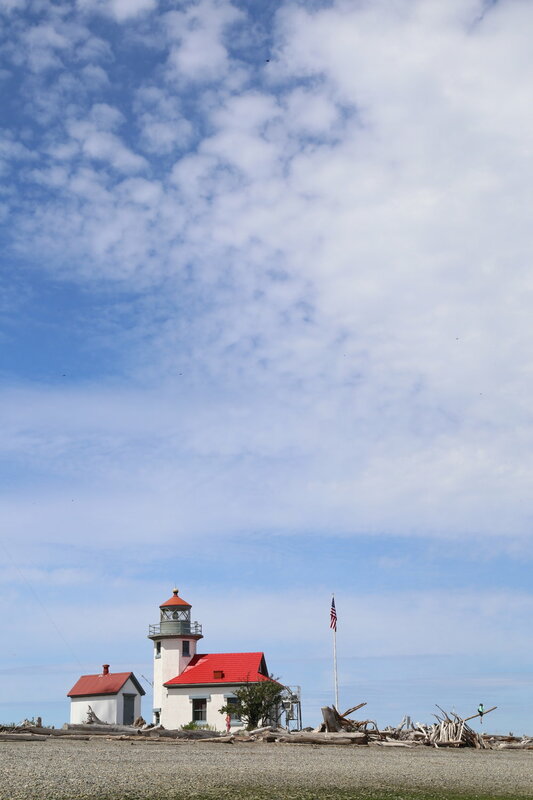 For our day trip to Vashon Island we visited the farmer's market and had our first taste of Summer with a large bag of Washington cherries, stopped at Glass Bottle Creamery for an ice cream cone, and spent the better part of the afternoon at Point Robinson Park. 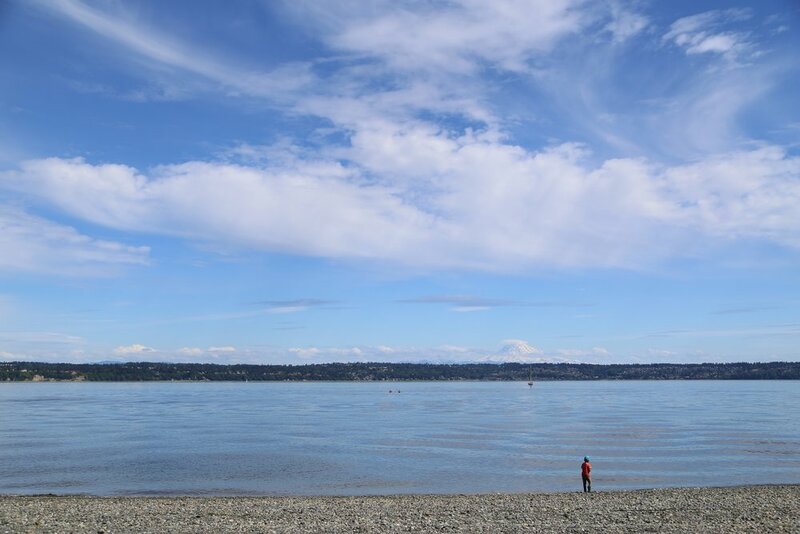 Vashon is a great place to escape the hustle and bustle of the city or even on a nice day, have the beach to yourself. The beach is where imagination reigns. Driftwood easily becomes ferry boats and Jasper never seems to get tired, cold or hungry. At the beach, we loose track of time and before we know it we have been here three hours!